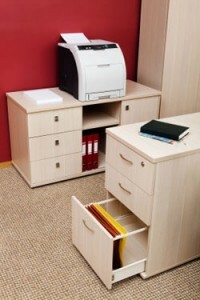 When you need filing cabinets or other pieces of furniture for your office in Tampa, Florida, or a nearby area, turn to Reusable Office Interiors. We can expertly help you furnish your office space no matter if you need to update one room or an entire building. The filing cabinets and other types of office furniture we can provide you with are trendy products from top manufacturers like Steelcase, Knoll, Teknion, Herman Miller, and more. Plus, the furniture we offer is exceptionally economical since most of the pieces we sell are gently used and refurbished. This means that you can furnish your office space with top-of-the-line furniture while staying within your budget. In addition to filing cabinets, we also can furnish your office in the Tampa, FL, area, with office seating, desks, executive furniture, cubicles, and more. If you would like to learn more about the filing cabinets and other types of office furniture we offer to businesses in Tampa, FL, and beyond, contact Reusable Office Interiors today. Our specialists can answer any questions you have.